For David Cavadel, “ideal collaboration”, for Jimmy Paige “to demonstrate us for a long time”, for Rock fans “dream coalescence”. COVERDALE / PAGE was a memorable project for both sides. That superb live album is new. Union of the century rocked the rock world and despite sending the album “COVERDALE · PAGE” to the UK 4th place / 5th place in the US, the big favorite national tour was canceled due to the slump in the ticket. This real stage was realized only in Japan in December 1993. 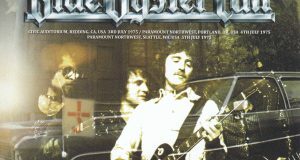 In our shop, we have reported on masterpiece live album so far, so let’s start with the overview first. Over all, 7 shows. What is included in this work is the 2nd performance piece “December 15, 1993: Nippon Budokan” performance. Back then at the unprecedented bootleg boom a record of all the performances came together in conjunction with the long-awaited pageji, but this work is not that copy or remaster. Most recently “KRW_CO” announced master, it is a superb item raised from the original cassette 1st Gen.
Actually, that sound is really wonderful. Although it is not a type of “sound board”, the extremely thick and clear musical sounds hardly feel the distance feeling, all the instruments reach the vivid. What is particularly wonderful is the vocal and guitar that is crucial. Of course, the field PA focuses on the leading protagonists and records the balance accurately. You can also taste the elegi of Brett Tagle and the Danny · Carmasi groovy drumming that rolls well on that. “Coalescence of the century” drawn with that sound. As a Japanese, there was also a direction to capture “PURPLE singer + ZEP guitar”, but the fact is “white snake + ZEP”. Moreover, the specific gravity is good and it is close to ZEP. Although the band members are WHITESNAKE Genealogy, the White Snake repertoire only stopped at only three songs, and ZEP-like “COVERDALE · PAGE” 8 songs totaling eleven songs and ZEP numbers are in full bloom. Actually the calorie d ‘we love’ Paige ‘and the amount of heat of Paige’ s accompanying “level appear exactly, but this choice is a big right answer. Even most fans of Cavadair would have been interested in “How Kavadale sings ZEP of admiration” rather than “How Paige plays a white snake”, and if you try it as a fan of Paige “After a long time! “Or” barely! “Has been exploding. Also in this work I can understand well that I am amazed at “ZEP number playing genuine”. That is also true for playing. 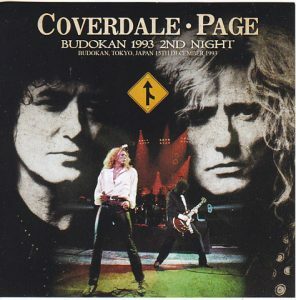 Paige plays solo in some WHITESNAKE number (“Still Of The Night” is a throwing fast-paced solo, leading to laughter), while Cavardere is singing ZEP dramatically while stepping back on the plant’s high tone (It is not ‘PURPLE’ but ‘WHITESNAKE’ s Cavadair ‘). I do not know if I’m complimenting something or not, but that’s why COVERDALE / PAGE is wonderful. 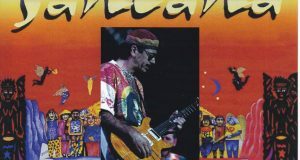 Cavadel who was a great success while being told “WHITESNAKE” as a “ZEP clone” loves heart-hearted ZEP sound, even the “RESTLESS HEART” that does not target hits is enough to insert ZEP-like music. That he fulfilled “dream” lined with real page. Though it is a big singer of the Battle of Battle, but because RESPECT and JOY are all rolled out, PAIJI could obediently respond with ‘ZEP Sound Full Open’. This is definitely different from THE FIRM. That fruit is enjoyed in the field band, audience as much as you want. Twenty – four years have passed since this dream. That is what it is now, this honesty is dazzling. There is neither acoustic nor oriental arrangement or orchestra here. LED ZEPPELIN was packed with various elements, but it was also a hard rock band at the same time. What is stuck in this work is a sound that extracts and concentrates and reduces only “hard rock” from such ZEP. Whatever he / she does not hesitate, it adds plenty to the new song of rich ZEP style, and shakes the Nippon Budokan with a bang. From the time it was done “It’s a plant manifestation”, “Hands are a Doraemon”, and so on, but various things were told, but now the ears know how big it was luxury. One ZEP packed with the most refreshing page music after the dissolution. We will deliver it to you at hand over this weekend. 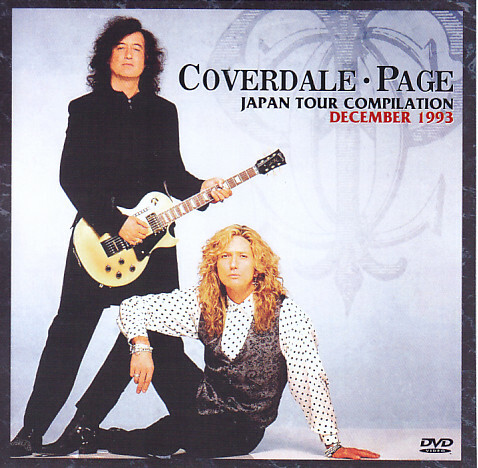 A tour of COVERDALE / PAGE which was realized only in Japan all over the world. This volume press 2CD is its new decision board. A bonus suitable for such a memorable release can be “a sight of a dream” only. Therefore, we will present a collection of images digesting masterpiece images from the only tour. What is included in this work are three concerts, sound checks, and a rehearsal pattern. It is valuable just as a picture of COVERDALE / PAGE, but among them the 8 mm video collection can be enjoyed for about 2 hours. Let’s see each in detail. [Studio rehearsal] First of all, there are 2 studio rehearsals whose date and time are unknown. “Wanton Song / Feeling Hot” ends shortly after installation, but the delicious point is “In My Time Of Dying”. This is a full performance including Cavadair. It is amazing just to say that Cavaldere sings a ZEP song, but it is amazing, but you can watch the appearance of the two men facing each other across the score (lyrics?) And watch it with the stakeholders …… It is a luxurious sight. [December 15, 1993: Nippon Budokan] Following is the 2nd day of Nippon Budokan same as 2CD press 2CD. That sound check and live 5 songs. The live spectacle spreading beyond the main press 2CD is also wonderful, but the precious thing is still sound checking. The staff shot from the audience seating, Paige stands on the stage and checks with the jam and “The Ocean / Wanton Song / Feeling Hot” medley. “Feeling Hot” can also hear singing voice, but the viewpoint is focused on page. In the live shot, it seems clear that the stage set was difficult to understand, and the gimmick which the huge light tower is aiming is perfectly understood. The third day is the second day of Osaka in the latter half of the tour. This is 7 actual live songs, the stakeholders photographed by stakeholders from Denny Kamassi’s drum kit side (this is the same for the above Nippon Budokan). As a viewpoint like a so-called professional shot drum angle, the two leading characters are behind the scenes, but the distance is very close. To be honest, it is not suitable for remembering live, but in other words, I feel immersed in being part of the project. Indeed, it would have been excited just because the staff at that time were present at the scene with the legendary two and that’s why I wanted to leave it behind as well. It is a scene that empathizes with the feeling of the photographer, such as zooming with the scenes that shoulder each other. The last appearance is Nagoya performance on the last day. 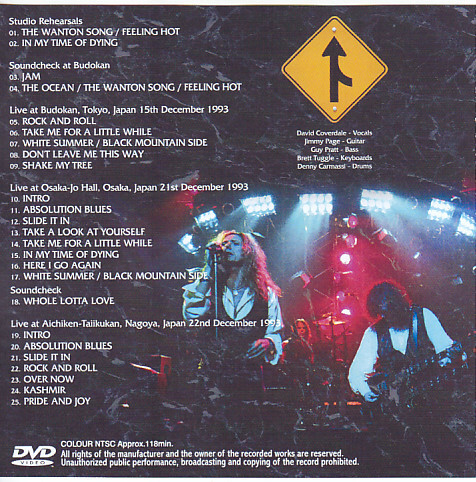 Sound check of “Whole Lotta Love” and six production live songs are recorded. Actually, in the production of this day, I arrange “Whole Lotta Love” in the middle of “Shake My Tree”, it may be that practice. Unlike the Nippon Budokan, the sound check was taken from the stage, and there was a feeling that I was used to it since it was the last day. But what singer is singing here …? And, the live is a shot with a stationary camera set up at the venue. Although it is a somewhat distant view, I catch the stage from the front right from the front and I can understand the state of the show unlike Nippon Budokan and Osaka Castle. Also, although the live shots so far were those that picked up the scenes of the show, this Nagoya shot the early show from the opening at “Absolution Blues”. I am sorry that there is no point “Shake My Tree”, but I can enjoy the last night of the legend project that Both men spent several years. Even just a rare shot of parties, if that leader becomes COVERDALE / PAGE it is still more. It is one that is close to the “backside” of the luxurious giant coalescence project which is worrisome. 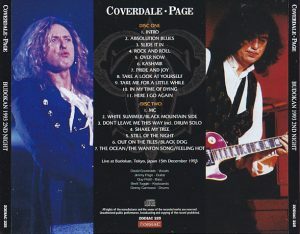 Another face of COVERDALE / PAGE which is different from the on-site concert. And a masterpiece image collection that even staff ‘s joy will notice. Please, please enjoy with the new classic main press 2CD altogether. 最後に登場するのは、最終日の名古屋公演。「Whole Lotta Love」のサウンドチェックと本番ライヴ６曲が収録されています。実は、この日の本番では「Shake My Tree」の中盤に「Whole Lotta Love」を挟み込むアレンジをしており、その練習だったのかも知れません。サウンドチェックは日本武道館と違ってステージ上から撮影されており、最終日だけあって手慣れた感もある。しかし、ここで歌っているシンガーは……? ?